LAS VEGAS, Jan. 5, 2011 /PRNewswire/ -- (CES BOOTH #14200) -- Sony's new BRAVIA® HDTV lineup is redefining the television category again. 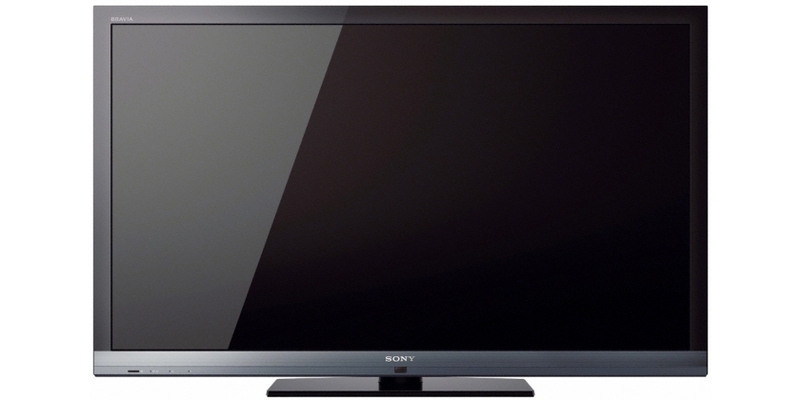 Building on its broad line of innovative 3D and Internet connected TVs, Sony's 2011 BRAVIA LCD HDTV line includes 16 new 3D capable models and 22 Internet connected models. In all, the line features 27 new models ranging in screen size from 22 inches to 65 inches (measured diagonally). "Sony's BRAVIA televisions deliver a complete entertainment experience  from instant access to online video content to the immersiveness of 3D theatrical features, sports, and video games, we're redefining the form and function of television," said Chris Fawcett, vice president for Sony's television business. "While innovative features are important, rest assured that Sony's hallmark picture quality and unmatched industrial design remains intact, making BRAVIA the perfect centerpiece for any home decor." Delivering the entertainment you want, when you want it, the 2011 BRAVIA line offers 22 models that deliver instant access to online entertainment. Whether connecting to a home broadband network via Wi-Fi (802.11n) or Ethernet connection, compatible models offer access to over 40 free and premium movies, video, and music services through the BRAVIA Internet Video platform including Sony's Video On Demand and Music Unlimited powered by Qriocity, as well as Netflix, Pandora®, HuluPlus, Amazon Video on Demand, YouTube, Slacker® Internet Radio, Crackle, and Blip.tv. A number of the new BRAVIA models will also have Skype embedded. After connecting the Sony camera and microphone (CMU-BR100, sold separately) users can enjoy free widescreen Skype-to-Skype video calls with friends and family from the comfort of their living rooms. Users can also make voice calls while simultaneously watching TV. The new connected models also make certain users will never have to wonder what that song playing during their favorite movie, TV program, or commercial is again. Sony's new Track ID powered by Gracenote, analyzes any selected song playing back on the TV, identifies it, and provides artist, album, and song information. The 2011 BRAVIA line includes 16 new 3D models that deliver outstanding performance with Sony's active shutter technology. Building on last year, the new line offers affordable 3D entry models all the way up to Sony's top-of-the-line flagship models that pack best-in-class picture quality with every feature for the complete entertainment experience. Improvements to this year's 3D models include panel drive enhancements that deliver quicker response time helping to reduce crosstalk, 5:5 pull down for a more realistic cinematic movie experience, and built-in 3D emitters on all 3D models. Expanding the 3D content users can view, the new BRAVIA 3D capable models can display 3D images taken with Sony's new Cyber-shot cameras like the DSC-WX9 via USB input. From full HD 1080p Blu-ray Disc, to broadcast HD, to user-generated Internet Video content, processing of incoming content is essential for an excellent picture. To this end, Sony has upgraded the BRAVIA processing power with the new X-Reality PRO and X-Reality Engine digital video processors. The X-Reality PRO Engine is a two-chip digital video processor that optimizes high definition content, compressed HD signals, standard definition, and other sources including low resolution Internet content. Utilizing a vast database of "ideal" signal patterns developed by analyzing and indexing and enormous library of film and video, the X-Reality PRO Engine compares incoming signals pixel-by-pixel with ideal scenes to display vivid and detailed images. Additionally, the engine's multi-frame analysis helps create missing resolution and Sony's Super Bit Mapping technology incorporates 14 bit up-scaling, processing and pixel mapping to smooth gradation and improve the quality of low-tone pictures. Found in select models, the single chip X-Reality Engine utilizes Sony's Intelligent Image Enhancer technology to deliver outstanding picture quality. Incoming video is separated into constituent parts (outline, texture, and color/contrast), and the appropriate image enhancement is added to each part. The engine also uses Intelligent MPEG Noise Reduction to automatically detect the incoming sources and noise level to apply the appropriate amount of noise reduction for each scene. Also new for select models is Sony's Intelligent Peak LED Backlight which uses full array local dimming for deeper blacks, while also boosting brightness in lighter scenes creating incredible on-screen contrast, while Sony's OptiContrast panel elevates the picture to the front surface of the TV and creates a dark background for rich, vibrant, high contrast picture even in well-lit rooms. Sony's MotionFlow XR builds on previous versions of the company's motion compensation technology and helps to reduce blur caused by quick camera movements, enhancing sharpness and creating a clearer picture. Select new BRAVIA models feature Sony's improved user interface that delivers uninterrupted viewing and intuitive navigation. Retaining the intuitive operation of the award-winning Xross Media Bar (XMB), the new UI provides uninterrupted viewing by disseminating the video and placing key menu functions and favorites along the bottom and side of the picture frame. Additionally, the models feature an improved remote control and offer control via the Media Remote application on iPhone, iPod Touch or Android mobile device. The app, which can be downloaded from the Apple App Store or the Android Marketplace, functions as a full remote with keyboard, allows online content search, and playback. Available in April, Sony's new 3D capable (with the addition of Sony active shutter glasses, sold separately), XBR-HX929 series features brilliant full HD (1080p) picture quality with Sony's Intelligent Peak LED backlight for outstanding contrast. The model also features Sony's MotionFlow XR 960 featuring a precise backlight control that is synchronized with the liquid crystal movement from frame to frame creating clearer, sharper moving images. The beautifully designed model features Sony's improved Monolithic Design Concept that draws viewers into the picture when the TV is turned on, and blends into the room decor when turned off. The 2011 Monolithic Design BRAVIA models incorporate Corning®'s Gorilla® Glass allowing for thinner, lighter, and stronger screen material. With integrated Wi-Fi (802.11n), the XBR-HX929 models offer instant access to thousands of Internet movies, videos and music from BRAVIA Internet Video and Qriocity. Sony's Media Remote app provides simple operation and search for internet content. For further details and pre-orders, please visit www.sony.com/bravia or Sony Style retail stores across the country. To learn about the 3D world created by Sony, please visit www.sony.net/united/3D. did a search on the google TV forum and didn't find any reference to the Sony KDL-EX713. Maybe I'm a little early to say... but it's been only 3 months since I bought this TV with all of the promises of having an internet connection... and don't see any comments from Sony to add it to the list of Google capable TVs. I have 3 Sony TVs -BluRay(s) and HDCamera and seem to be getting the shaft everytime from SONY with "sorry... your TV is outdated and need to buy the next version"
SHOW some loyalty to your Sony Customers... ya... the ones that have made you the billion dollar company you have become. So you have a Sony kdl-ex713 (size?) and are you located in United Kingdom? Great looking set! I see the set is Wireless LAN Ready  but does it have Google TV built in? I don't see that so you must be using your Blu-rays to try and use the Internet? Not enough info supplied to addrees your issues. If you can not work out your compatibility problems you could always add a Google TV set top box. Report back and I'm sure one of our members can help!